I’m back with the second edition of 00:59 Melodic . Action packed as always with some of the tastiest and most melodic Nu Disco and House tunes around. I’m happy to – once again – include a Jack Wins track in the tape. 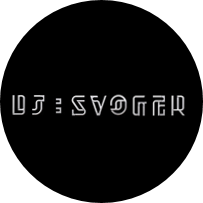 He has serious representation in the last years’ DJ Svoger work… But also high points such as M83 adds a touch of French refinement, and Jasmine Thompson just sings her way straight into the Svoger heart. Corny, but true… I hope you enjoy this one, and don’t forget to leave a comment in the Souncloud feed, so that I know what to improve or do more of the next time around. Thanks for participating and supporting. Peace.